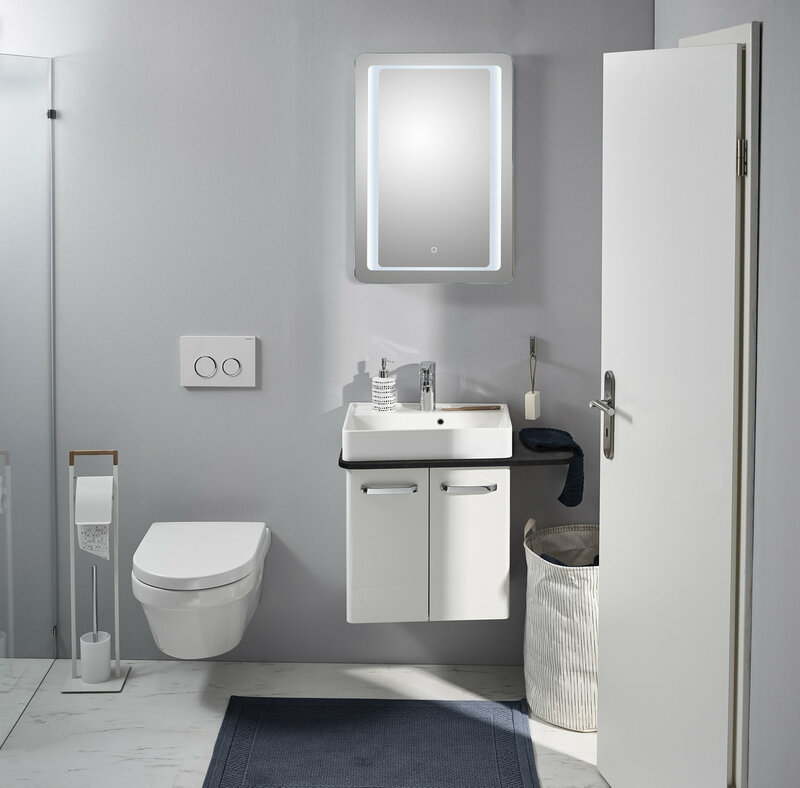 SOLITAIRE 6905 is the ideal solution for guest bathrooms and toilets in particular. The space-saving washing area is an eye-catching element with its sophisticated design. 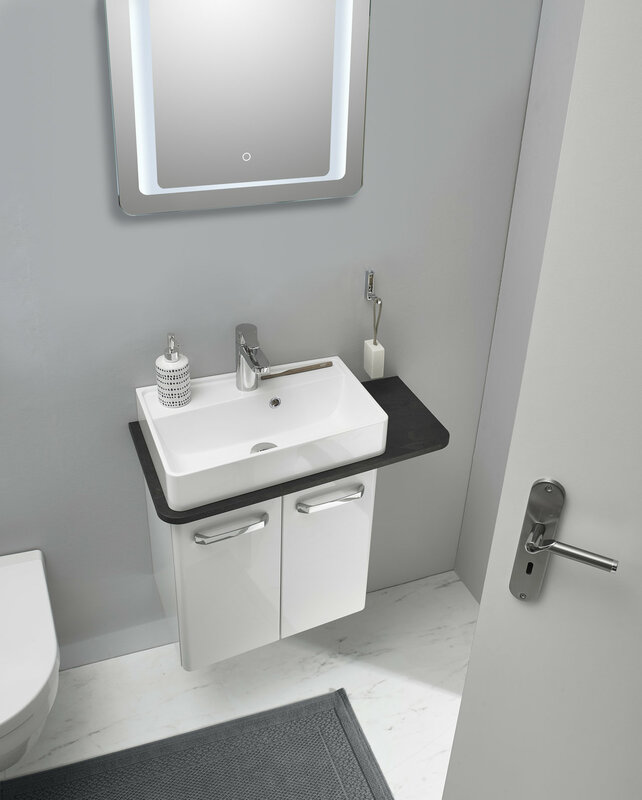 The first thing that draws the gaze is the asymmetrical countertop, one side of which juts out over the washbasin. This feature shows off the more striking décors such as Ribbeck oak and slate particularly well. It also offers additional shelf space for small bathroom utensils. When combined with modern front panel and carcass décors in white, grey or Riviera oak, the washing area blends harmoniously into any bathroom.